An insurance company on behalf of a South Carolina preschool has agreed to pay a $15,000 settlement to a family after a school employee fed the family’s child Taco Bell hot sauce. WCSC Live 5 News reports Charleston County court approved the settlement earlier this week; $5,000 will be paid to cover the parents’ attorneys fees, while $10,000 will be placed in an account payable to the child on their 18th birthday. 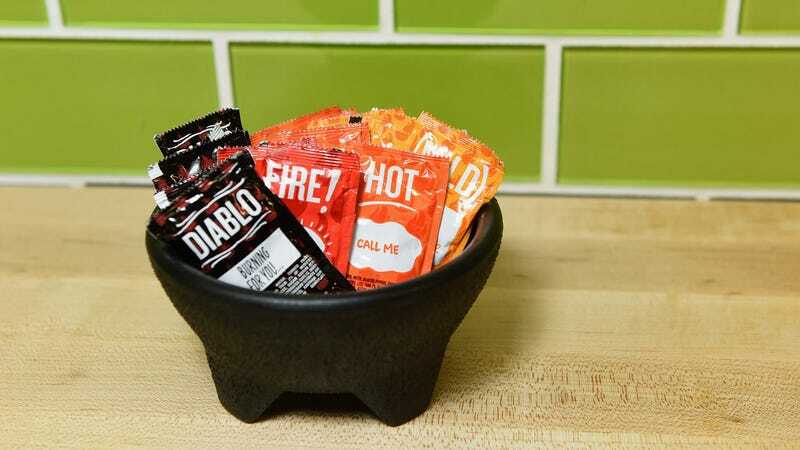 The incident occurred in November 2018, when a preschool employee “improperly” fed a young child Taco Bell hot sauce. Court documents state the child “responded well to treatment and has reached maximum medical improvement,” though the nature of the child’s injuries is not explained. In fact, plenty of details aren’t explained: Why did the employee feed the child hot sauce? Which hot sauce packet was it—Mild? Diablo? How old was the child? Was this a punishment? The child must have sustained harm from the incident to warrant such a settlement, and it’s a relief to hear the child recovered. Not only did this news story raise the factual questions above, but it started our staff talking: We obviously wouldn’t want our child to be harmed by overly spicy foods, but at what age can a child start begin to be (slowly, carefully) introduced to spicier things? Wait too long and presumably your kid might be averse to spicy and seasonings, but introduce it too early and well, that just sounds cruel. Furthermore, what would be ideal introductory spicy foods for a kid? A bite of chorizo? A chip dipped in mild salsa? White rice with curry sauce? Surely spice tolerance varies culturally, too. Parents, if your kid is a hot sauce fiend, when and how did you figure this out?